"Is it possible that two people dream the same thing?" Netflix has released a new official US trailer for the Hungarian romantic drama On Body and Soul, which is one of the Best Foreign Language Film nominees at the Academy Awards this year. It completely deserves this nomination, it's such an outstanding, tender, heartfelt film. Directed by Hungarian filmmaker Ildikó Enyedi, this tells the story of two shy people who work at a slaughterhouse in Hungary. They both have the same dream - where they are deer in a forest - and when they discover this, they try to figure out how to be together, but it's not easy in real life. Alexandra Borbély stars as the woman, Mária, and Géza Morcsányi as the man, Endre. I just watched this recently thanks to Netflix and totally loved it. Please take a moment and see this film, it's good for your heart & soul. When slaughterhouse workers Endre and Mária discover they share the same dreams - where they meet in a forest as deer and fall in love - they decide to make their dreams come true but it's difficult in real life. 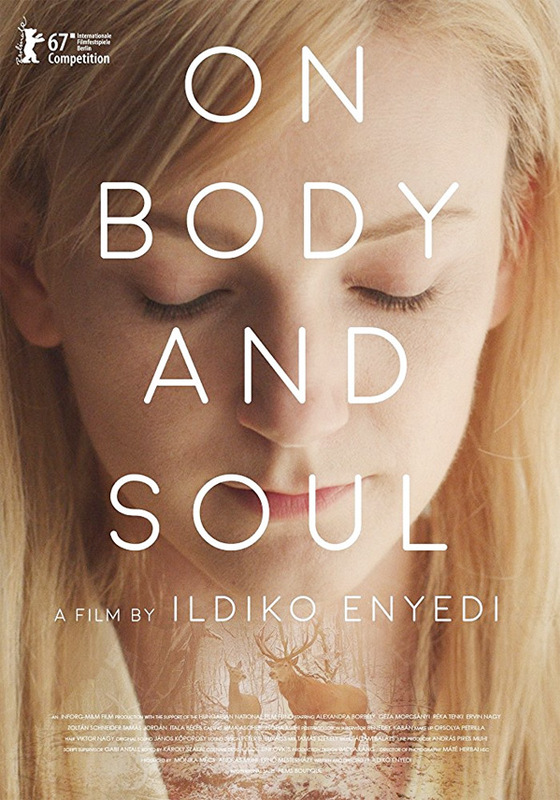 On Body and Soul is both written and directed by Hungarian filmmaker Ildikó Enyedi, of the films Mole, My Twentieth Century, Magic Hunter, A Gyár, Tamas and Juli, and Simon the Magician previously. This first premiered at the Berlin Film Festival last year, where it won the Golden Bear top jury prize playing in competition. This also played at the Sydney, Moscow, Sarajevo, Toronto, and Philadelphia Film Festivals. It is one of the five Best Foreign Language Film nominees at the 2018 Academy Awards. Netflix has released On Body and Soul streaming exclusively already - it is available to watch now. Add it to your list. Thoughts?